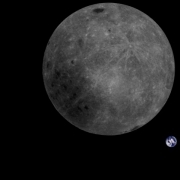 The Dwingeloo radio telescope had a prime seat during the lunar landing attempt of the Israeli Moonlander “Beresheet”. Cees Bassa and Paul Boven used the new 13 cm horn antenna to listen to the carrier signal of Beresheet at 2280 MHz. 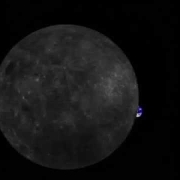 The Beresheet lander was launched on Februari 22, 2019, and made several orbits around Earth before maneuvering into an orbit around the Moon on April 4. The landing in Mare Serenitatis was planned for Thursday April 11, 21:25 CEST (Central European Summer Time). From the radio telescope the lander signal appeared from behind the Moon on that Thursday, as expected, at 20:55 CEST. The Israeli webstream reported that the lander turned around to prepare itself for landing. Exactly as planned, the radio signal showed a kink due to the Doppler effect, indicating that the rocket enginges had started. 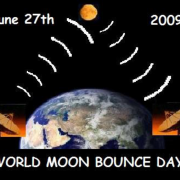 The next 8 minutes all went according to plan; the Israeli webstream showed decreasing speed and height of the lander, while the radio signal decreased in frequency. The full landing would last for 20 minutes. Unfortunately, after those 8 minutes, something went wrong. 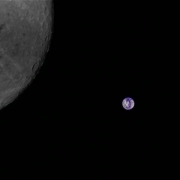 First, the radio signal disappeared temporarily; the webstream reported that one of the orientation sensors was reset. 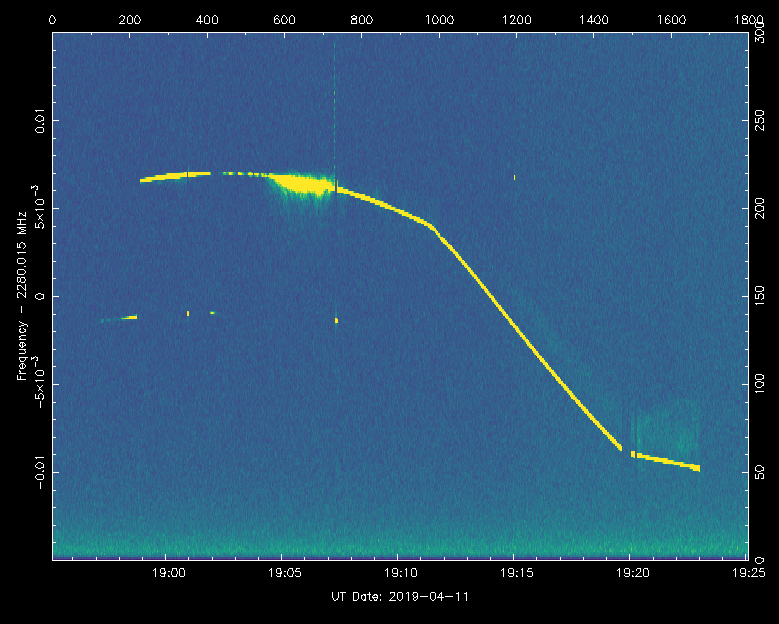 When the radio transmitter on Beresheet became active again, it was clear from the radio signal that the rocket engine was not working, because the Doppler curve showed an acceleration. During the next 3 minutes there was still contact with the lander, but the engine could not be restarted. 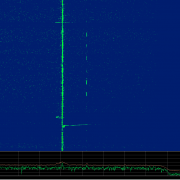 This is clearly visible in the recording from the Dwingeloo radio telescope: the Doppler curve does not change. At 21:23:01 CEST, the signal suddenly disappeared: the moment Beresheet crashed into the Lunar surface. Despite the failed landing, Israel has showed a great achievement. Hopefully future missions from Israel and other countries have more luck, and hopefully the Dwingeloo radio telescope can tune in again. Doppler curve of the Beresheet signal, as measured with the Dwingeloo Radio Telescope. Times are in UTC (two hours earlier than Central European Summer Time).